One of the hardest parts of my infertility was the rift it put between my sister and I. I don’t know if she felt it, but whenever we spoke about my struggle, I felt like we moved another step apart. The person I’d always talked to became one of those people who could listen but never understand. That feeling of disconnectedness persisted until my son was almost one and a simple sentence made me realize how wrong I had been about my sister. During my infertility journey, I’d let my certainty that she couldn’t empathize because she hadn’t experienced it dictate how I perceived our relationship. 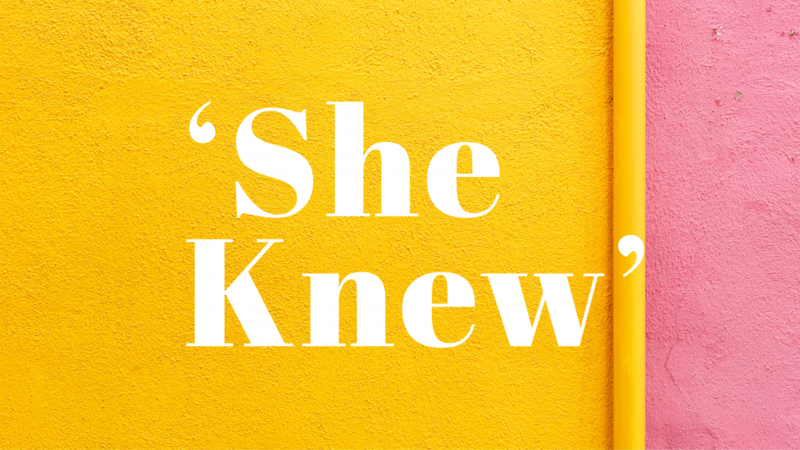 What I really should have done is taken a step back and realized that—outside of my husband—she was the one person who could have given me the support I so desperately needed. My sister, Stephanie, is an optimistic, outgoing, beautiful person who has been by my side since I was 18 months old. We’ve always had a strong relationship and have spent hours on the phone throughout our adult years. We’ve also had an unspoken sense of competition between us: mainly, who does it better and who did it first. If you’d asked me when we were growing up which one of us would have a family first, I would have answered “me” without hesitation. For a while, it seemed that would be reality. Even though Stephanie started dating and had a serious relationship first, I found the love of my life and got married before her (she had just started dating her future husband at that point). It seemed inevitable that I would give our parents their first grandchild. In 2012, three years after my wedding day, it was Steph’s turn to walk down the aisle. Even though my husband and I were trying, we stopped so that I wouldn’t be pregnant at her wedding. At that time, we hadn’t yet become concerned about not conceiving. When we realized we needed fertility help, there was a brief period when I wondered if that pause in trying had hindered our ability to conceive—as in those 2-3 months were the ones where we would have gotten pregnant. Now I know it wouldn’t have made a difference. I cherished my role as Steph’s matron of honor. The next best thing to your own wedding is your sister’s. The day was everything I wanted for her: full of love, family, and joy. Soon after, the reality of not becoming pregnant started to set in. We’d been trying for almost two years without even a false positive. You’d think I would have started to wonder if Stephanie would have a baby before me, but I didn’t. Years before, a cyst on her ovary had burst and the entire ovary and fallopian tube had been removed. After the surgery, she was left with an abundance of scar tissue that her doctor later told her made him think she would never conceive naturally. Knowing that, you can probably understand why her having a baby wasn’t on my radar. Then I got the call in early 2013. Steph was pregnant; they’d conceived less than two months after their wedding. At the time, I lived over five hours away, and I was driving home when she called. I choked out my congratulations and tried to act genuinely happy. Some part of me was happy, was over the moon thrilled that she was pregnant. But a large part of me was devastated. I was supposed to be the one having a baby first. Heck, I should have already had a baby. How was it that she—with only one ovary—could conceive so quickly, and I was on year two of trying? I managed to get home and then I cried for hours. When I told me husband, I bawled. A single question kept dropping from my lips and invading my thoughts: why wasn’t I the one calling her with a pregnancy announcement? I know, stupid, right? Being the older sibling doesn’t give you the right to be the first. Looking back, I’ve tried to figure out why I was so crushed after that phone call. I’ve come up with several answers. First, the news completely blindsided me. I never would have guessed that Stephanie would become pregnant so quickly. Second, I was failing at getting pregnant. We still didn’t know why and hadn’t starting fertility treatments. All I knew was, despite our best efforts, we still hadn’t conceived. Third, I really was upset that she was first. You may have to be an older sibling to understand. I’ve also realized something else since then. Because of the situation with her reproductive system, I thought she would struggle too. To be completely honest, I figured she’d need fertility treatments. Even though we weren’t at that point—yet—I was already suspecting that something was wrong, which meant I expected that Steph and I would struggle to conceive together. Trying to get pregnant would be another thing we would share, another thing that would strengthen our bond as sisters. Instead, she moved forward into motherhood, and I was left feeling defective. In September 2013, my adorable nephew, my godson, was born. Snuggling him was like nothing else. My sister’s little boy melted my heart while an inner voice nagged me, telling me that something was wrong, something was keeping us from conceiving. Soon after, we started fertility treatments. I’ve heard people talk about the isolation of being infertile, the feeling that no one truly knows what you’re going through. I’m no exception. One of the worst parts was the loving people that always seemed to say the wrong thing, and one of the biggest culprits was Stephanie. She, of course, meant well, but it seemed like every time my infertility came up, her words left me feeling upset instead of comforted or understood—that’s how that rift I mentioned happened. Some of that was definitely because she is my sister. I know I tend to judge her more harshly than others, probably because part of our relationship is pushing each other to be better. The other part of it is that she was well-meaning and, for some reason, well-meaning words seem to just come out wrong. Whenever you’re faced with a situation that you haven’t personally experienced, saying the right thing becomes incredibly hard. Whenever I try to be empathetic, I usually leave the conversation feeling like I could have done better. The difficulty with talking to her got to the point where I didn’t bring up my treatments or struggles. Resentment and jealousy reared whenever we talked about babies. In December 2014, I looked at Steph and knew she was pregnant. This time, my overwhelming feeling was jealousy. I hope I didn’t show it. Either way, this pregnancy announcement was much easier to handle, maybe because I found out in person or maybe because we had at our first appointment at CNY Fertility later that month. I even told her that I wanted to do photos together when we were both pregnant. My joy and the expectation of sharing that milestone were genuine. As Steph’s belly grew, my husband and I delved further and further into the world of fertility treatments. Letrazole, Lovenox, IUI, dye tests, pills, shots, and blood tests dominated our lives. Steph was supportive and concerned, the picture of a perfect sister. Despite that, I was having a harder and harder time sharing in her excitement over her second child. I tried, I really did, but my lowest point hit right around the time when I should have been celebrating my new niece. Our cousin decided to throw Steph a sprinkle. I was all set to go until that weekend. I felt slightly sick, but I really just couldn’t bring myself to drive three hours to celebrate a new baby. I let myself believe that I was canceling because I was sick, and I made the phone call I’m most ashamed of. I told Steph I wasn’t coming. She was kind and gracious; I felt like crawling in a hole. When I saw the pictures, my heart ached because I knew I had disappointed her. More than that, I knew I should have been there. But I couldn’t do it. Honestly, I don’t know how I would have made it through that sprinkle. She had believed my lame excuse, and I didn’t bring it up. A couple months later, my precious niece, Eve, was born. Two months after that, my husband and I conceived our miracle using IVF. During Infertility Awareness Week 2017, I decided to put mine and Chuck’s story out there on Facebook. I wrote a post a day talking about our struggle to conceive. Whereas I never could have brought myself to do that while going through fertility treatments, once we had our son the taboo in my mind lifted. Eventually, I asked CNY Fertility if they wanted an article that spoke of our conception story. Before I submitted it, I realized I needed to make one important phone call. I wanted the article to be completely raw and honest, so I needed to tell Steph the truth about why I hadn’t attended her sprinkle. She knew I wasn’t sick. She knew I just didn’t want to go because I was too miserable about my own situation. And, most of all, she knew that I needed to live in the illusion that I was sick and didn’t want to discuss the real reason. For two years she’d known, and she’d never brought it up. Your sister is supposed to share all your big milestones with you; I’d skipped out on one of hers, but she’d never complained. In that moment, the realization hit me hard. She did understand. For years, I’d felt that she was watching me experience this huge, heartbreaking thing, and she just couldn’t identify with what I was going through. Even after I’d had my son, I’d looked back on those years of struggling and associated them with feeling alone. And the whole time, she’d understood. I’m not saying that every person out there understands what it’s like to be infertile. Steph, who has been blessed with three children, certainly doesn’t understand it. But, what I forgot while I struggled, was that she does understand me. I’d forgotten about the years of sisterhood, years of experiencing life side-by-side, years where we’d learned to read each other’s emotions and understand each other’s thoughts. That’s what I mean when I say she understood. She understood me; she was able to look at my situation and know how it was affecting me. That is an incredible thing. Would I change the way that I acted and felt toward her while I was trying to conceive? More importantly, could I have changed the way I acted and felt? I don’t know. There are so many elements to my story and even the bad ones are important to understanding my journey to motherhood. What I do wish is that I had realized earlier that she understood me enough to sense the motivation behind my actions. Because then I could have felt more comfortable leaning on her or being truthful with her instead of clinging to a veiled lie. Life has a funny way of using the unexpected to solidify your relationships with people. During our fertility treatments, that’s what happened to my husband and I. Like so many couples, we grew stronger because of our struggle. What I didn’t expect was the way it would deepen my understanding of how beautiful my relationship with my sister is. Even during one of my worst moments, she understood and loved me anyway. And that is a great gift.